As winter draws to a close, things are getting a bit stuffy in our house. Like many energy-conscious consumers, we’ve done a great job of insulating and sealing our home to keep the heat in and drafts out. An unintended consequence of our cocooning? Lessened air exchange throughout the house, which has compromised indoor air quality to an extent. While it’s still far too cold in the Northeast to open the windows and enjoy fresh air, there is an easy air purifying solution for every one of us with houseplants. 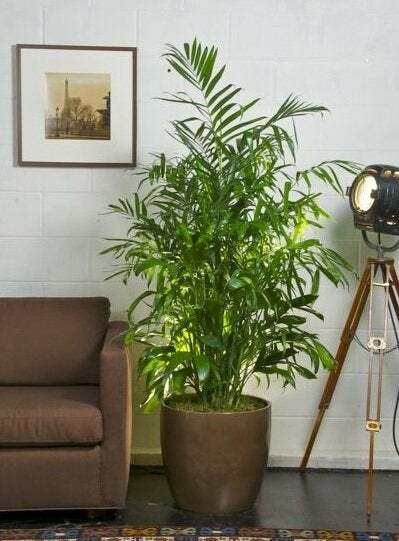 A pioneering 1989 NASA study found that common houseplants can actually help purify the air and counteract the negative impact of the volatile organic compounds that some modern home furnishings emit. NASA originated the study in order to determine how to keep future astronauts healthy in enclosed space habitats, but the findings are relevant to today’s well-insulated homes as well. Bamboo Palm. One of the stars of removing indoor air pollutants is the bamboo, or reed, palm (Chamaedorea sefritzii). These trees have slender, cane-like stems and feathery leaves of deep green. They grow from ten inches to an average maximum height of about 15 feet. Dracaena. 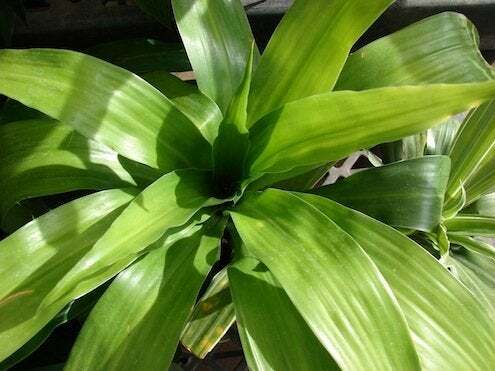 Popular Dracaena varieties for improving indoor air quality include Janet Craig (Dracaena deremensis), Warneck (Dracaena deremensis ‘Warneckii’), Cornstalk (Dracaena fragrans ‘Massangeana‘), and Red-Edged Dracaena (Dracaena marginata). Dracaenas are very easy to care for, tolerating low humidity, infrequent watering, and low light. Dracaenas feature a bushy appearance with spiky green leaves often marked with stripes or spots. Philodendron. Long popular as houseplants, several varieties of philodendrons excel as air fresheners. These varieties include Heartleaf (Philodendron scandens ‘oxycardium‘), Elephant Ear (Philodendron domesticum), and Selloum (Philodendron selloum). Philodendrons have glossy, bright green foliage and can grow quite large; they thrive on minimal care. English Ivy. 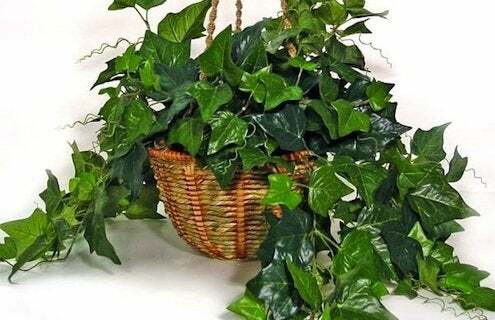 A versatile houseplant, English Ivy (Hedera helix) grows well in pots or hanging baskets. English Ivy can be trained to grow on a trellis and features small, spiky, variegated leaves. Though it can be an aggressive grower, regular pruning will keep the plant contained to virtually any size and shape you like. Spider Plant. This is one of the easiest houseplants to grow and share, as it regularly produces “baby spiders” at the end of long, wiry stems. The Spider Plant (Chlorophytum comosum) is also known as the airplane plant and features narrow, grass-like leaves with pale green and white stripes. Spider Plants perform best in moderate sunlight. Because they prefer slightly higher humidity, placing Spider Plants in bathrooms or kitchens is advised. Peace Lily. The Peace Lily (Spathiphyllum ‘Mauna Loa’) is well known for removing chemical contaminants from the air. The Peace Lily is considered an easy-care and attractive house plant, characterized by its thick, glossy leaves and dramatic white blooms. The plants tolerate low light and do well in moderate to high humidity. Weeping Fig. Weeping Figs (Ficus benjamina) are some of the most common indoor trees, typically growing between four and six feet tall. The Weeping Fig thrives in moderate to bright light. It likes high humidity but doesn’t like change. Find a spot and leave it there, because shifting its location may cause a Weeping Fig to drop its leaves. Golden Pothos. A climbing vine, Golden Pothos (Epipiremnum aureum) features lush, heart-shaped leaves and requires little care to flourish. 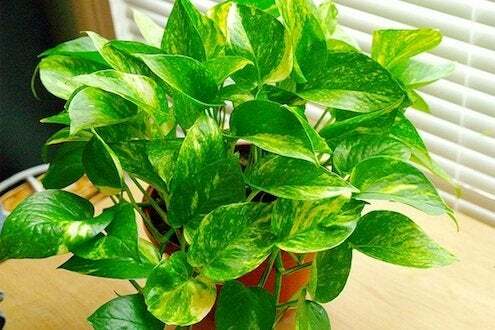 Golden Pothos tolerates low light, low humidity, and low temperatures. This hardy disposition makes it one of the top-selling houseplants in the country. Snake Plant. The Snake Plant (Sansevieria trifasciata), or Mother-In-Law’s Tongue (Sansevieria laurentii), is another hardy, easy-to-grow houseplant. Easily recognized at a glance, Snake Plants feature vertical leaves with spiked tips in a deep, glossy green with yellow or white stripes. They do best in low to moderate light and low to moderate humidity. Gerbera Daisy. The large vivid blooms and lush green leaves of Gerbera Daisies (Gerbera jamesonii) make them a very popular perennial that, with a little care, can be encouraged to bloom all year. Also known as African Daisies, these plants grow about a foot tall and are a popular choice for cut blossoms… and they just happen to be my favorite flower!